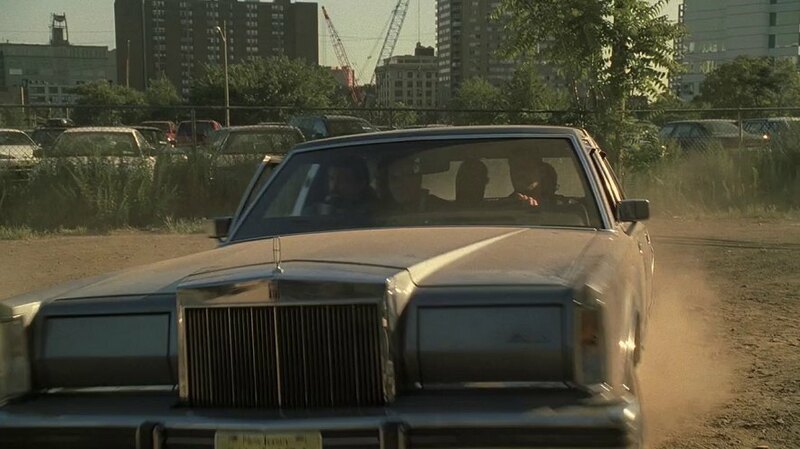 IMCDb.org: 1980 Lincoln Continental Mark VI in "The Sopranos, 1999-2007"
An 80 or 81 Mark VI. Note red square emblem on top of grille shell. Town Cars did not feature this. Also the Star hood orniment is the tall, narrow one used on the Mark series. Continentals got the squared off star. Definitely a Mark Series & not a Town Car. 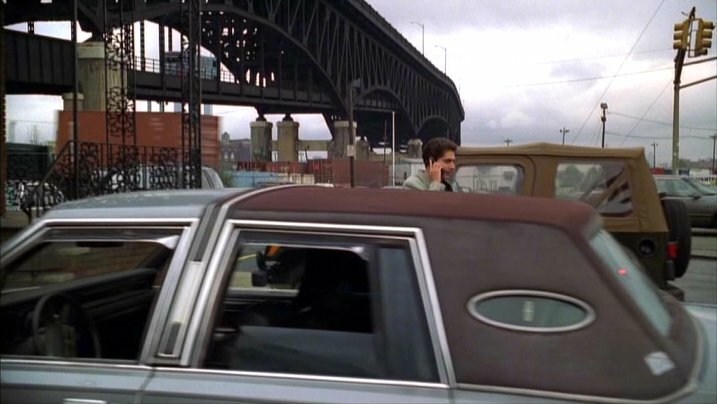 Town Cars did not have covered headlights in 1980 or 1981. 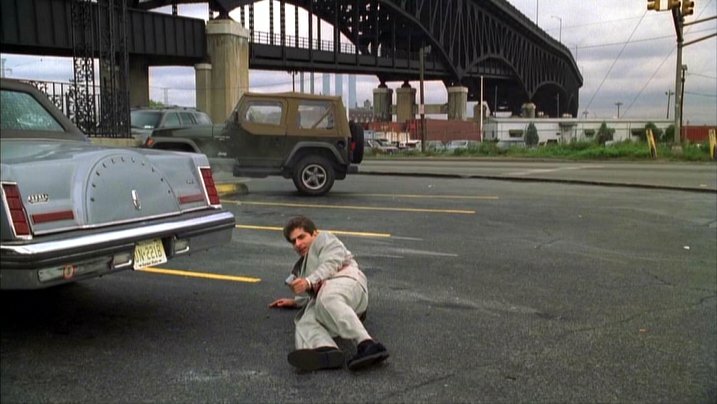 From the scene in episode 2.8 "Full Leather Jacket" when Matt Bevilaqua and Sean Gismonte try to kill Christopher in a drive by shooting to win favour with Richie Aprile (who dislikes Christopher).